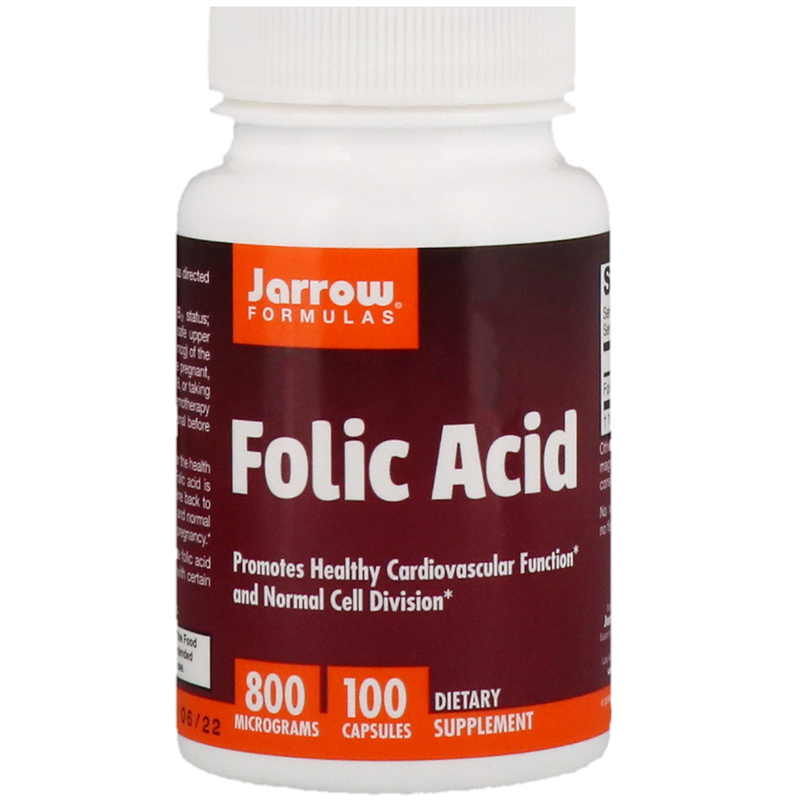 Folic Acid is a B vitamin and a crucial nutrient for the health of the heart and normal fetal development. Folic acid is a methyl donor needed to convert homocysteine back to methionine and for accurate synthesis of DNA and normal cell division throughout life, including during pregnancy. Usage: Take 1 capsule per day with food or as directed by your qualified healthcare professional. Cellulose, calcium phosphate and magnesium stearate (vegetable source). Capsule consists of gelatin. Note: The elderly should frequently check B12 status; folic acid may mask pernicious anemia. 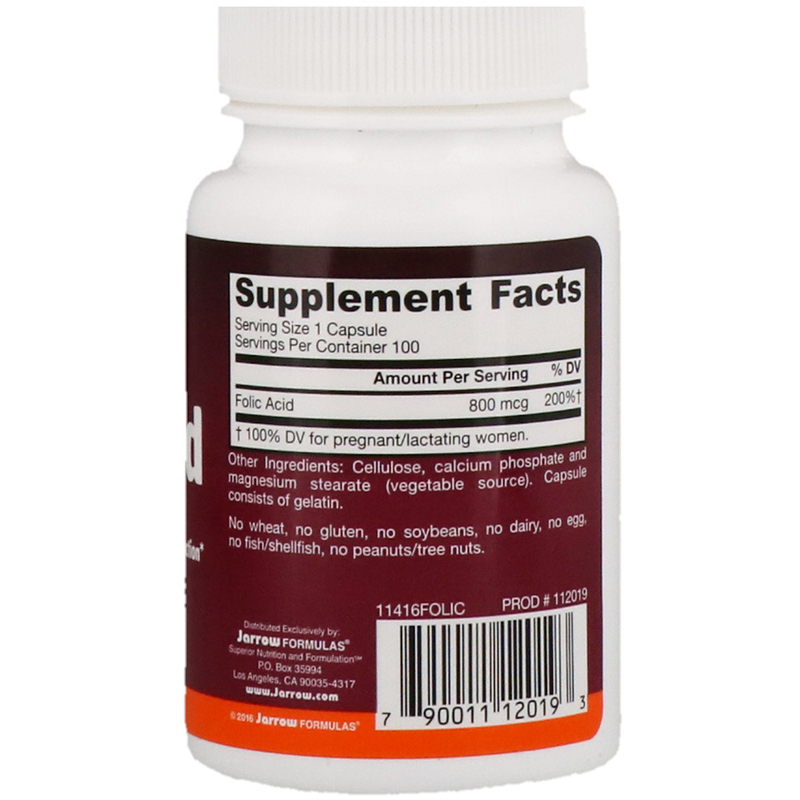 The safe upper limit of folic acid consumption is 250% (1,000 mcg) of the daily value. If you have a medical condition, are pregnant, lactating, trying to conceive, under the age of 18, or taking medications (especially antiepileptic and chemotherapy medications), consult your healthcare professional before using this product. †100% DV for pregnant/lactating women.